Thomas Hunt Morgan was an eminent American zoologist and geneticist. He is known for his legendary experimental analysis of the fruit fly, after which he formulated the chromosome theory of heredity. Morgan also demonstrated that genes are connected in a series on chromosomes, which carry hereditary traits, therefore kick starting the modern field of genetics. He won the 1933 Nobel Prize for Physiology or Medicine for his extraordinary achievements. Born in Lexington, Kentucky, on September 25, 1866 to a rich, influential southern family, Thomas Hunt Morgan earned his B.S. degree from the State College of Kentucky (now the University of Kentucky) in 1886, and his Ph.D. degree from the Johns Hopkins University in 1890. After his doctorate, Morgan joined the faculty of Bryn Mawr College for a while. Thomas Hunt Morgan was appointed a professor of experimental zoology at Columbia University in 1904. He established a large laboratory at this place that was later termed as the “Fly Room.” In collaboration with fellow biologist Lilian Morgan and several other assistants, Morgan studied and highlighted the two specific characteristics of the fruit fly (Drosophila melanogaster). They were able to demonstrate the results of mating individual flies having these specific characteristics. The discovery is regarded as the earliest to extend Mendel’s genetics from the plants into the animals. Morgan also extensively studied the field of experimental embryology. He knew the hypothetical connections between genetics and development, but was rather unwilling at the time to reveal those links explicitly. 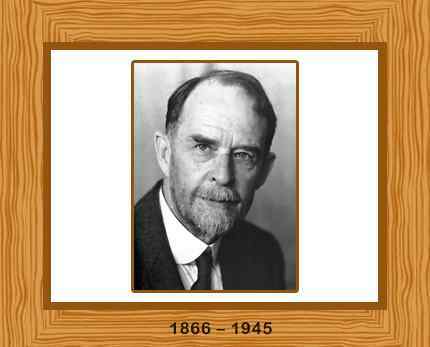 Morgan won the 1924 Darwin Medal, the 1933 Nobel Prize for Physiology or Medicine and the 1939 Copley Medal. Thomas Hunt Morgan continued to work in the laboratory until his death. He died in Pasadena, California, of a heart failure, on December 4, 1945. Morgan was 79 years old.